1. You get to pretend like you’re living in some otherworldly, magical place. 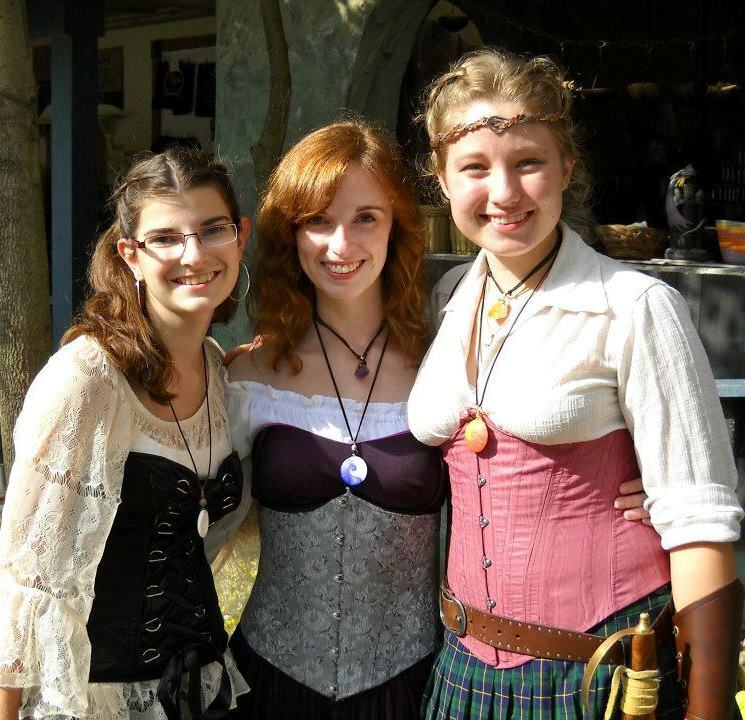 Honestly, there’s no real time in history that Ren Fest portrays (Even though it’s supposed to be the Renaissance…?). It’s kind of this jumble of history, folklore, and fantasy. You will see royalty and peasants, but you’ll also see fairies, wizards, pirates, barbarians, and all sorts of magical folk. 2. The shopping is so much fun. Some of the best artisans in the business sell their craft at Ren Fest. Whether you’re in the market for jewelry, rocks, awesome clothing, leather work, pottery, botanicals, soaps- you get the idea- it’s all there! You’ll find some of the most unique things at Ren Fest, and I love that. 3. 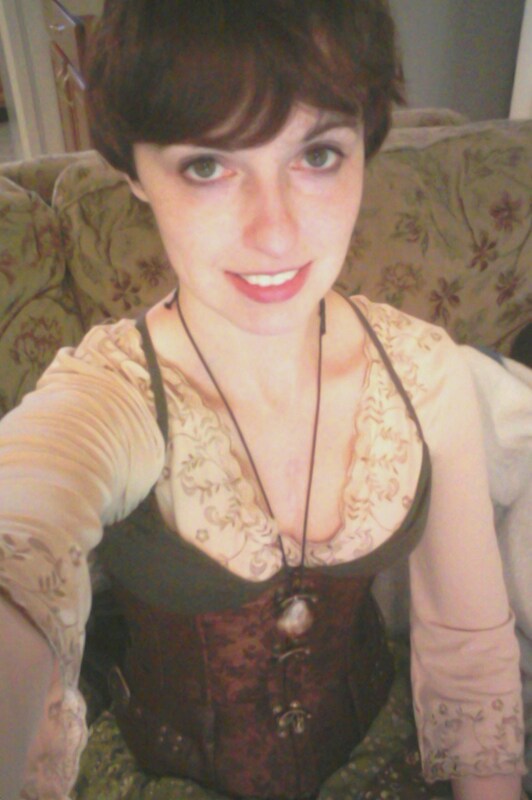 You get to dress up like the characters in your favorite fantasy novels. You read all those books growing up, with all those heroines who got to wear pretty dresses. Tell me you’ve never thought to yourself, ‘I wish I could wear a dress like that!’ Well, here’s your chance! Speaking to this last one, dressing up is probably my favorite part. It just makes the whole experience more fun, and you can pretend like it’s real for awhile. I’m extremely excited for this year because I was finally able to buy my own corset! I’ve wanted one for awhile. The first year we went, I borrowed my friend Regan’s. Ever since then, I’ve been using a cheap black waist cincher I bought on amazon for $5 that looks like a lace-up corset in the front with velcro in the back. It worked ok, but I really wanted a boned corset. Well, a few weeks ago I was finally able to buy one. . . and it arrived this morning! So naturally I spent the next 2 hours trying it on. The first year. I’m the dashing fellow in the center. Regan on the left and Madi on the right. I’m so glad it came, but Ren Fest isn’t for a few months yet. But I don’t want to take it off! why can’t we dress like this for real? Oh well. Guess I’ll have to wait for September to roll around. The new corset. I’ve always wanted a copper colored one and I found it on amazon for only $15. Can’t do much better than that! all other parts of the dress were bought at salvation army for $9 total. IT’S MAGIC….THEY’VE CHANGED INTO SOMEONE EXOTIC AND NEW!